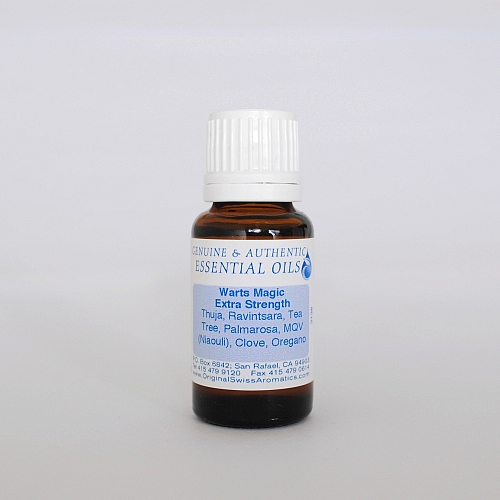 Thuja is one of the strongest agents against warts. Blended with other highly anti-viral oils it will help to eliminate warts and regenerate the affected areas. Apply topically 2 - 3 times daily. 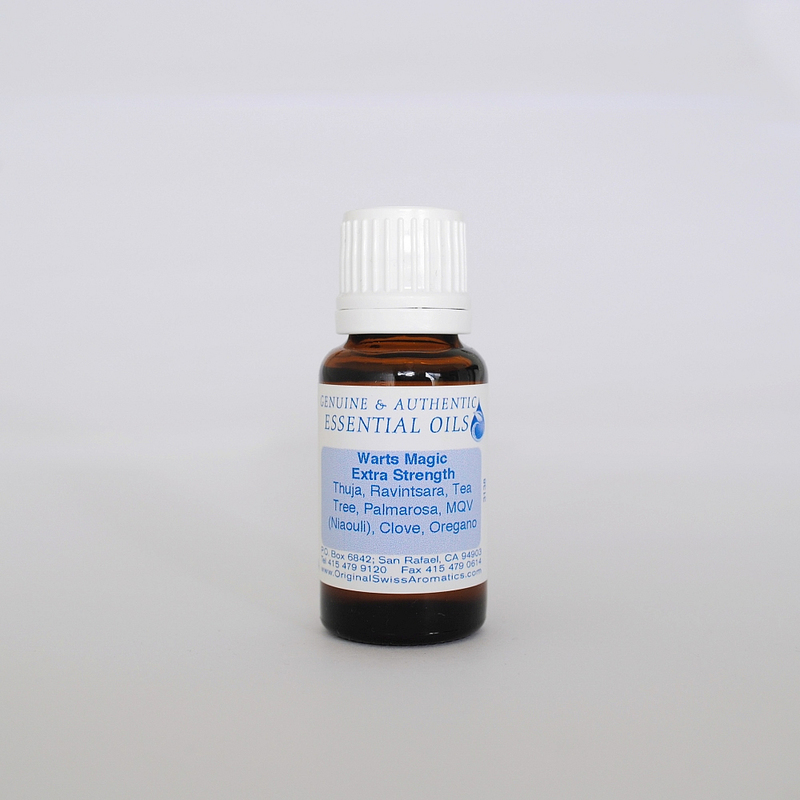 Ingredients: Thuja, Ravintsara, Tea Tree, Palmarosa, MQV (Niaouli), Clove, and Oregano.